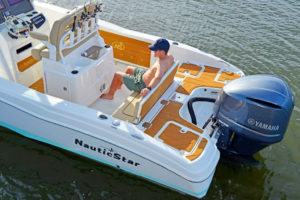 NauticStar's 251 Hybrid is the perfect size for a family-friendly boat that's also a tournament-ready fishing platform. NauticStar engineers have been hard at work, cranking out the 195 Bay Boat in August, followed up by the 251 Hybrid last fall — and will be debuting their largest offshore model yet, the 32 XS Offshore, at the Miami International Boat Show next month. The 251 Hybrid offers a fresh look and a new 25-foot model to NauticStar’s hybrid lineup. This unique multi-purpose vessel offers the perfect size and features for a family friendly pleasure boat — and a tournament ready fishing platform. NauticStar’s 251 Hybrid is the perfect size for a family boat that’s also a tournament-ready fishing platform. NauticStar has also moved into the 30-foot-plus category with its newest member of the family: the 32 XS Offshore. This saltwater performer delivers all the necessary fishing features for the serious angler with a smooth, dry, comfortable ride — and cutting edge styling and comfort features never seen in a boat of this style and size. 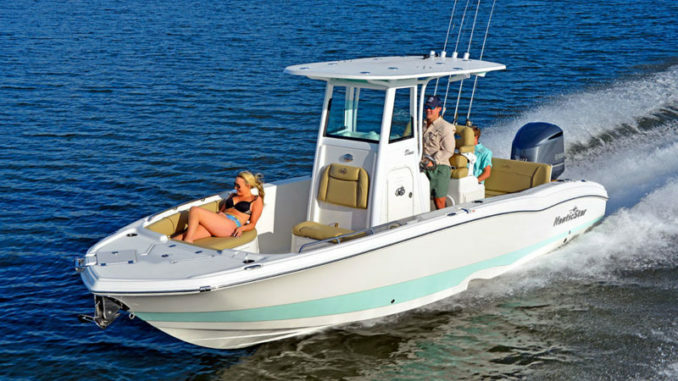 With its 10-foot, 6-inch beam, the 32 XS Offshore offers a spacious and comfortable bow that features large forward lounge seating with arm rests and plush wrap-around bow seats. The head console has a fully lined interior with a sink, SeaDek® floor and electric flush toilet. It has a spacious and ergonomic helm to allow for dual 12-inch or 16-inch multifunction displays. The leaning post features ergonomically correct Llebrock® double billfish seats with flip-up bolsters and pivot arms. It has a sink, tackle storage and a slide-out, 35 Qt. YETI® cooler. The D-channel, integrated T-top can be fitted with a variety of options such as a retractable shade, and fold-down cockpit television. Aft, the jump seats flip-up for a spacious fishing deck with sizable, in-floor fish boxes and large port side dive door.